Western North Carolina has developed quite a reputation for its craft beers. And it’s not just Asheville that folks are talking about. Tourists and locals alike are enjoying the unique tastes of craft beers from breweries in Bryson City. 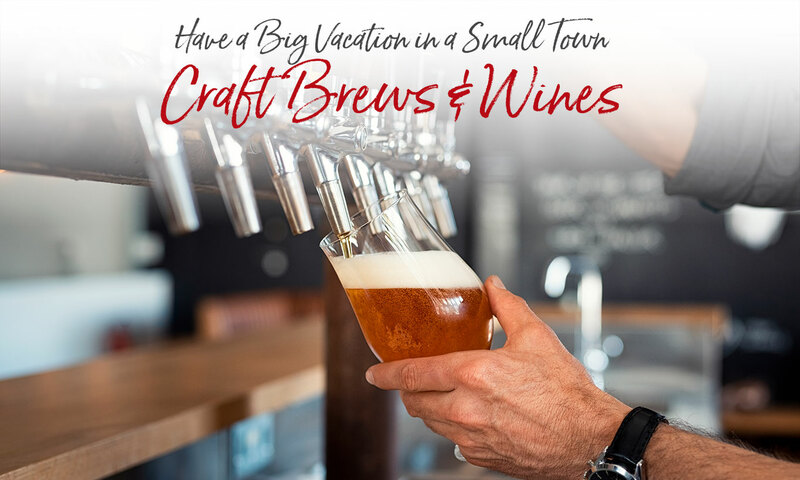 Micro-brews are the hottest segment of the beer market and you can enjoy locally-crafted beer from these local breweries in many restaurants in the area. In the early 20th century, North Carolina was the leading wine-producing region in the nation. Prohibition shifted the focus from the patient production of wine to the faster, more lucrative production of moonshine. Today wineries are flourishing again all across North Carolina. Now a Taproom & Bottle Shop! Enjoy a craft beer or cider from one of our 10 rotating taps, or choose from a selection of 70+ cold bottles and cans. Grab a beer and shop for gear or just enjoy the cozy taproom atmosphere. Bring your lunch or dinner from anywhere in town and enjoy it at the bar or on our front patio. Throughout the year there will be food trucks nearby too! And, yes, we still have an awesome selection of over 200 beers/ciders to go. Pet friendly inside and outside seating. Our Breweries or Wineries Tours will give you the best of the Western NC area with a designated driver. Tours start and end in Bryson City and accommodates up to 6 people. Consider us your “Brew-ber Driver”! Stop by Tsali Cycles and you'll get more than just a bike rental, repair or first-hand trail information. We've got six craft beers on tap with a good variety from IPAs to pilsners to stouts — all from our Asheville to Andrews neighborhood. Beer tastes great after a ride or one of our Tsali Yoga and Spin classes. Enjoy food from home or a local restaurant. Open from 10 am - 5 pm, Monday - Saturday.